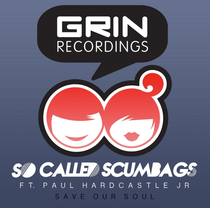 Grin Recordings kick off 2013 with a collaboration between label heads So Called Scumbags and Paul Hardcastle Jr. With an Australian tour scheduled for February, the London duo continue where they left off at the end of last year. 2012 saw them make festival appearances at Bestival, Glade and The High Definition festival alongside club appearances at Pacha Ibiza, Ministry Of Sound, Egg and Cargo to name a few. Their releases on Grin Recordings were picked up by labels like Skint and Ministry Of Sound for compilations whilst remixes for Hotfingers, Made Music and Triptik were commissioned. 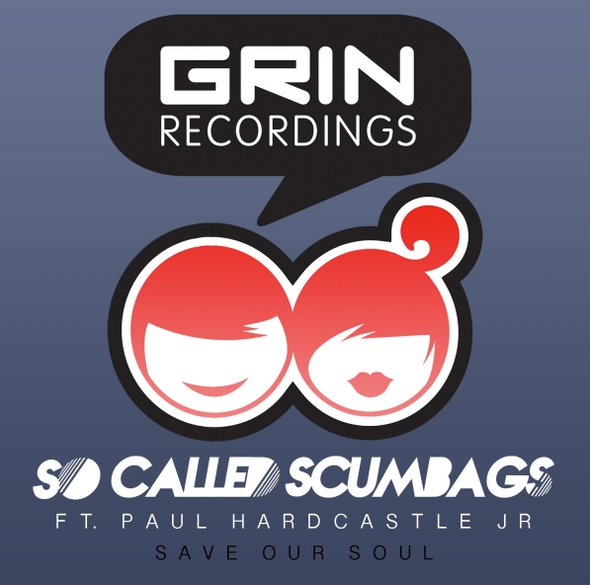 ‘Save Our Soul’ compiles tribal beats with live guitar riffs and a sax breakdown from Paul Hardcastle Jr. Look out for re-works courtesy of Ministry Of Sound resident Tim Cullen and Global Underground’s Traffik Soundsystem.